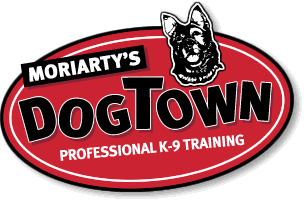 Moriarty's Dog Town, Professional K-9 Training, dog training - Brixx and I working on our basic Rally skills. Rally is a great way to get started in competitive obedience. Also a great way to kill the winter months! > Dog Training > Dog Training Videos > Brixx and I working on our basic Rally skills. Rally is a great way to get started in competitive obedience. Also a great way to kill the winter months!